How do I sort the dashboard blog list? This is one feature that Blogger just won't provide. The dashboard blog list is complete chaos. 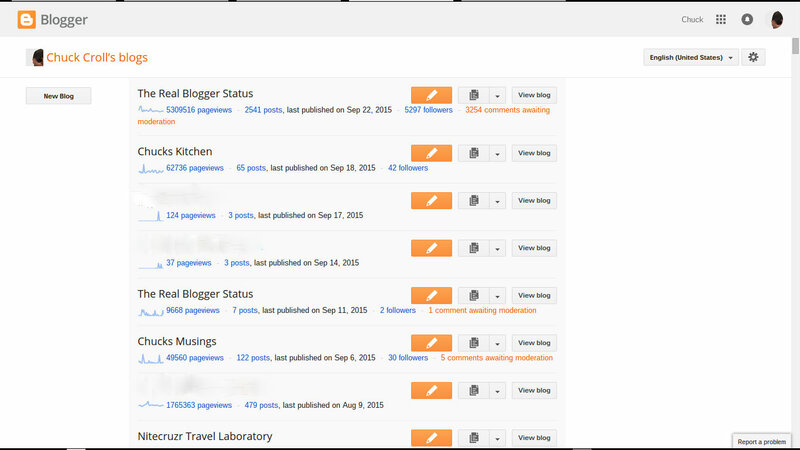 The list appears to update, when a new post is published - with each blog, in turn, going to the top. Regardless of whether you want any blog, at the top. 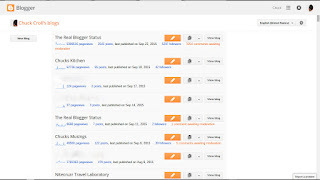 So, if you get your list as you like it, and you can (finally) find all (or even, some) of your important blogs - as soon as you publish new posts into your non important blogs, there you go! Back to the beginning!! So there's my "My blogs" list, with some of my important blogs (and some non important - and even secret), all jumbled. And I can click on "View more", and see more blogs - still jumbled, though. To resequence the list, publish new posts. 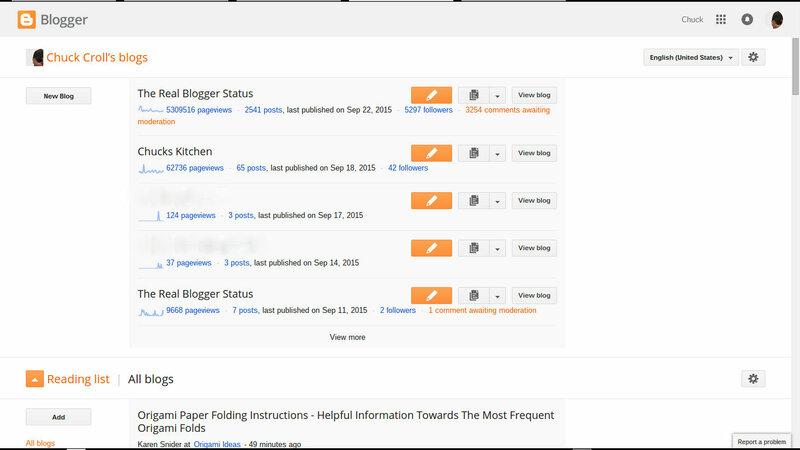 If you want to get your important blogs back into the brief list, you gotta publish new posts (after you expand the list, again). And as soon as you can find - and add new posts to your less important blogs - you start over. 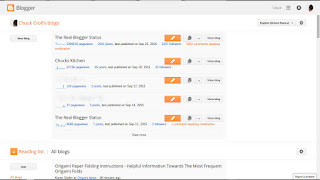 If you have a blog cluster, forget about organised updates. And if you're doing a test that involves more than half a dozen blogs, lots of luck keeping everything organised. Finding any specific blog, with a dozen blogs in the test? Double the project time - and cut down on the coffee! Let Blogger know that this needs improvement. We've asked Blogger Engineering for an improvement, no joy. Maybe, if enough blog owners, who care about this, start asking, we'll see an improvement. See the "Report a problem" button in the lower right corner? See it, use it.